Idea Cellular on Monday approved its amalgamation with Vodafone India and Vodafone Mobile Services, a move that will create the country's biggest telecom services provider with a customer base of over 394 million. The board of directors of Idea Cellular at its meeting held on Monday approved the "scheme of amalgamation of Vodafone India Limited (VIL) and its wholly owned subsidiary Vodafone Mobile Services Limited (VMSL) with the company", Idea said in a regulatory filing. The transaction is subject to necessary approvals from concerned authorities, including SEBI, department of telecom, Reserve Bank of India etc. "Upon the amalgamation becoming effective, the entire business of VIL and VMSL, excluding VIL's investment in Indus Towers Limited, its international network assets and information technology platforms, will vest in the company," the filing said. The turnover of Vodafone India is Rs 5,025 crore and of VMSL is 40,378 crore. Idea Cellular's turnover is Rs 36,000 crore. The net worth of VIL is 12,855 crore, VMSL's 3,737 crore and of Idea Cellular is Rs 24,296 crore, as per the filing. Vodafone's market share was 18.16 per cent with 204.68 million mobile customers and that of Idea was 16.9 per cent with 190.51 million at the end of December 2016, as per TRAI data. At present, Airtel, with a market share of 23.58 per cent and a customer base of 265.85 million, is the country's largest telecom player. "The implied enterprise value is Rs 828 billion (USD 12.4 billion) for Vodafone India and Rs 722 billion (USD 10.8 billion) for Idea," the filing said. Idea and Vodafone in a joint statement said themerged entity will be jointly controlled by Vodafone and Aditya Birla group as per the shareholders agreement. Vodafone will own 45.1 per cent of the combined company after transferring a stake of 4.9 per cent to the Aditya Birla group for Rs 3,900 crore in cash concurrent with completion of the merger, the filing said. Idea will hold 26 per cent of the combined entity while the rest will be owned by public shareholders. The Aditya Birla group will have the right to acquire more shares from Vodafone under an agreed mechanism with a view to equalising the shareholdings over time, the joint statement said. The merger will result in substantial cost and capex synergies with an estimated net present value of approximately USD 10 billion after integration costs and spectrum liberalisation payments, with estimated run-rate savings of USD 2.1 billion on an annual basis by the fourth full year post completion, the statement said. Vodafone India will be deconsolidated by Vodafone on announcement and reported as a joint venture post-closing, reducing Vodafone Group net debt by approximately USD 8.2 billion. The transaction is expected to close during calendar year 2018, subject to customary approvals. 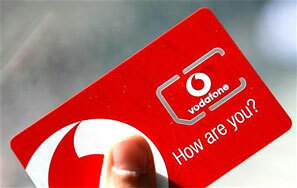 The statement said that if Vodafone and the Aditya Birla goup's shareholdings in the combined company are not equal after four years, Vodafone will sell down shares in the combined company to equalise its shareholding to that of the Aditya Birla goup over the following five-year period. Until equalisation is achieved, the voting rights of the additional shares held by Vodafone will be restricted and votes will be exercised jointly under the terms of the shareholders' agreement. Given the present spectrum holding, revenue and subscriber base, both the companies need to work on synergy to comply with rules. According to the merger and acquisition rules, an entity should not hold more than 25 per cent spectrum allocated in a telecom circle and 50 per cent of spectrum allocated in a particular band in a service area. The merged entity should also not have more than 50 per cent revenue and subscriber market share. As per CLSA report, the merged entity would breach revenue market share, subscriber and spectrum caps in five markets. The combined entity as per present scenario will breach spectrum cap in 900 Mhz band in Maharashtra, Gujarat, Kerala, Haryana and UP West and in 2500 Mhz band in Maharashtra and Gujarat, it said. CLSA estimated that the excess spectrum which would need to be surrendered or sold off is valued around Rs 5,400 crore and for the merger both the companies will also have to shell out Rs 5,700 crore for liberalising radiowaves that they were allocated administratively.